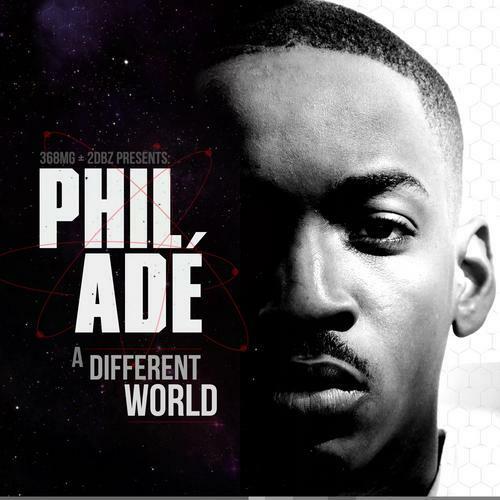 Bump A Different World, the latest mixtape from Phil Ade, which dropped on Thursday, July 28th, 2011. Phil Ade's horizons are broadening with each new release, and A Different World is no exception. It's a worthy addition to a catalogue that has seen much growth since Phil Ade stepped foot in the rap game. We're looking forward to hearing more. These artists are featured on the mixtape: Laura Song, US Royalty, Tracie Josephine, GLC, Raheem Devaughn, Black Cobain, Killa Kyleon, U.N.I., Kevin Ross, Mac Miller. These producers contributed to the project: Mark Henry / Q-Heff / Dre King, Bink!, Sunny Norway, 9th Wonder, Mark Henry, Oddisee, Nieze, Mark Henry / Dre King. How do you feel about the production here? Make sure to visit our mixtape section to stream and/or download PhilAdeFriday2, a tape released by Phil Ade on Friday, December 30th, 2011. It features such cuts as ADW Intro ft. Laura Song (Prod by Mark Henry / Q-Heff / Dre King), King (Prod by Bink! ), Monte Carlo Dreams ft. US Royalty (Prod by Sunny Norway). If you dig this, visit Phil Ade's profile for the latest info, news, songs, and mixtapes. Don't forget to follow Phil Ade on Facebook and Twitter. Jack Harlow Joins Forces With Cyhi The Prynce On "Drip Drop"
Comethazine Drops Action-Packed Visuals For Song "Nonsense"
GASHI & G-Eazy Collaborate On New Video "My Year"
Beast Coast Never Shows No Ghoulie Their "Left Hand"